Moving Meditation®:Fitness : A Fitness and Relaxation Program greatly impacts achievement of one's personal and professional objectives. 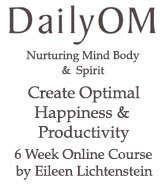 The Moving Meditation® Program was founded by Eileen Lichtenstein, MS.Ed., EFT-ADV , in 1995. She has helped thousands of people achieve maximum health through a program design to help adults and children, including the physically and emotionally challenged populations. Note: Do not navigate away from this page until download is complete. Track 04: What Is Progressive Relaxation?